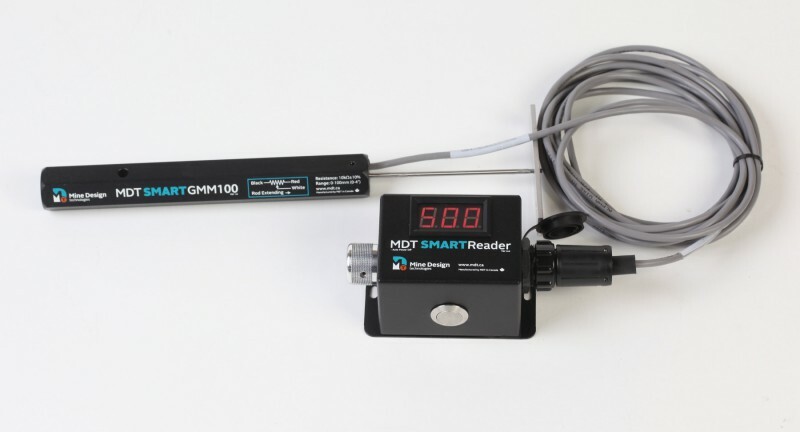 The MDT SMARTReader is a small, rugged, easy to use readout unit for the SMART family of geotechnical instrumentation. 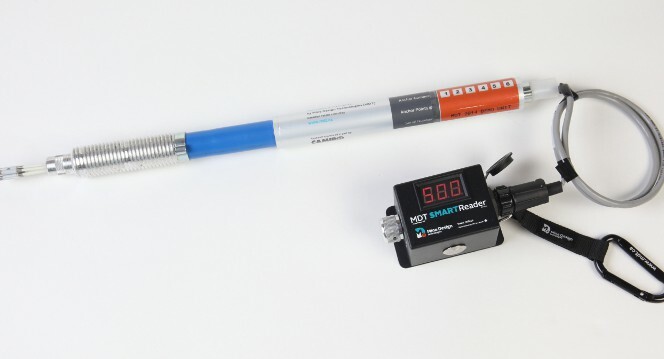 Powered by two 9 volt batteries, this fully-regulated 5VDC unit measures between 0-5VDC in 1/100 V intervals. 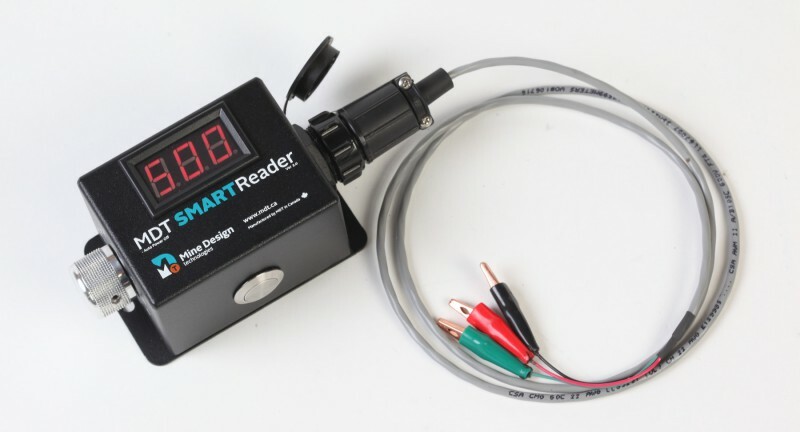 The voltage readings are easily converted into raw displacement readings based on the scale (0 to 500). For a 5-inch (127 mm) potentiometer, each unit on the scale is equal to 1/100 of an inch (0.254 mm); for a 2.5 inch (63.5 mm) potentiometer, each unit is the equivalent of 1/200 of an inch (0.127 mm). 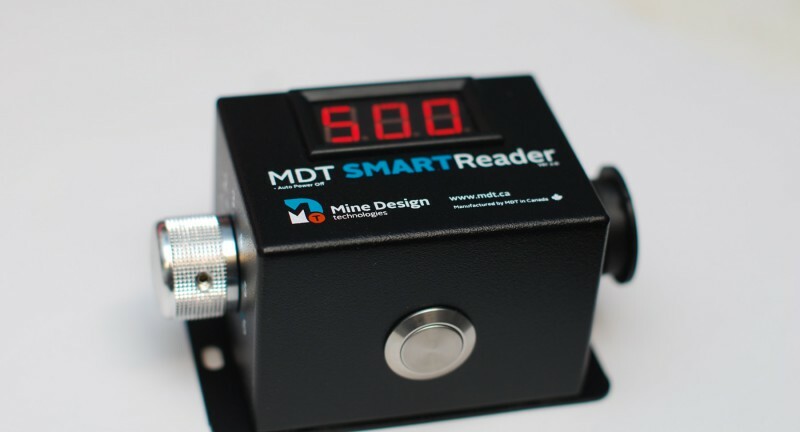 However, because all of the movements are relative to the initial readings, it is recommended that the MineMonitor database be used for the movement calculations.